Are New York City ATMs really as gross as you think they are? MANHATTAN (WABC) -- Scientists are getting a look at the dirty details of what is left behind at ATM machines in New York. Researchers took samples from dozens of ATMS throughout Manhattan, Queens and Brooklyn. They found most of the microbes on the machines came from human skin and food. The most common sources of microbes on ATMs were household surfaces such as televisions, restrooms, kitchens and pillows. The researchers from the American Society for Microbiology said this suggests most people carry around their leftovers on their fingers. Researchers found microbes from chicken on some neighborhood ATMs, probably leftovers from a meal transferred from someone's hands to a keypad. They also found there wasn't a difference in bacteria based on here the ATM was located. Investigators took swabs of keypads in June and July 2014. 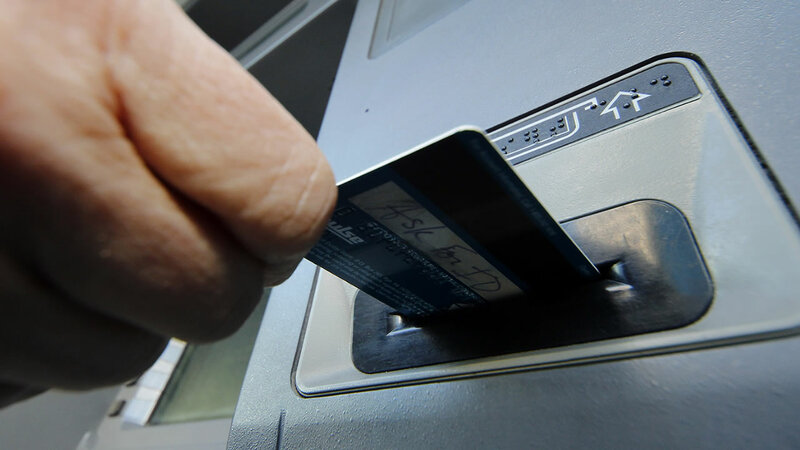 The study said that each ATM keypad in New York City is most likely used by hundreds of people daily.